When compared with a phobia of spiders, many of the other common fear disorders are fairly recent. Things like flying, escalators, lifts, or needles, haven’t been around for very long. Heights weren’t something you’d have been faced with until the twentieth century, unless you count jumping over a gate. And public speaking wasn’t common for most people even three generations ago. None of these other fears have been around for as long as the spider phobia because people just didn’t encounter them very much. The other related phobia that’s been around as long is a fear of snakes. Phobia, fear, what ever you want to call it; when it comes to being to being frightened, there’s something about arachnophobia that’s pretty unique. Spiders were around since way before the first humans decided that being afraid when something wants you for lunch is a good idea. The fear of spiders phobia has been around as long as we have. 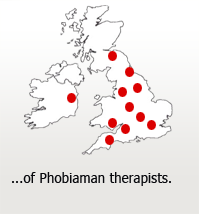 Phobias – The Theory So Far. This fine and long pedigree has enabled scientists researching fear to challenge some previously held beliefs about phobias in general. The fear response is a subconscious reaction that favours an individual who can learn to be frightened instantly. It allows them to avoid and, if necessary, escape from dangerous situations. 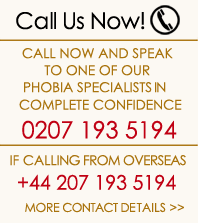 But when something is perceived wrongly as being threatening a phobia develops. As far as your brain is concerned there is no difference. Better safe than sorry. If something seems frightening it wants to protect you, and the automatic fear response stays with you, ensuring your survival by avoiding the feared situation. The behaviour is even passed on to future generations by the children observing the behaviour of older family members. In fact, among the clients who come to me for spider phobia treatments, the ones who can trace their anxiety back to a specific traumatic event are in the minority. 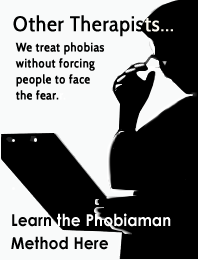 Most of them have inherited their phobia from someone else, and learnt to be scared indirectly. In Countries With Dangerous Spiders. All this makes perfect sense. However, in the case of arachnophobia, there is one piece of evidence that suggests that this model isn’t quite complete. And that is that sufferers of spider fear are statistically more likely to come from a country like Britain, where they are harmless, than from a hot country where venomous species like tarantulas are a reality. In Africa, where spiders are far more dangerous, as well as abundant, they are honoured and protected by people. In fact, the location of spider phobia sufferers has nothing to do with the location of dangerous spiders. Why might this be? One theory is that in countries where there are no dangerous spiders, this phobia must have originated due to something else. There is evidence that in Britain, spiders were associated with the spread of disease. This belief was formed during the population destroying bubonic plagues. If a spider fell into a bucket of water, that water was considered unsafe to drink. This would go some way to explaining the random nature of the distribution of sufferers. Another explanation for these strange statistics is that phobic behaviour isn’t particularly good at keeping us safe; but it’s better than nothing. So when the ancestors of present-day Europeans migrated away from the regions where dangerous species of spiders exist, they took with them the phobic responses they had developed up to that point. And in their new environment, without being exposed to the threat, there was no need to develop any more advanced protective behaviours. Those that continued to live in such regions, found that their uncontrolled emotional responses increased the threat of a bite from the poor bemused spider, who was faced with a scary sweating panicking human. They were forced to develop more refined and sophisticated behaviours. These less excessive reactions were more effective protection when faced with spiders that were really dangerous. This does not mean to say that the indigenous population of these regions are comfortable around dangerous species. They have simply learned through experience that instead of having a panic attack, or freezing with fear, being calm is a more effective way to cope with the situation because it is less likely to lead to an attack. Spider Fear – Genetic or Learned?